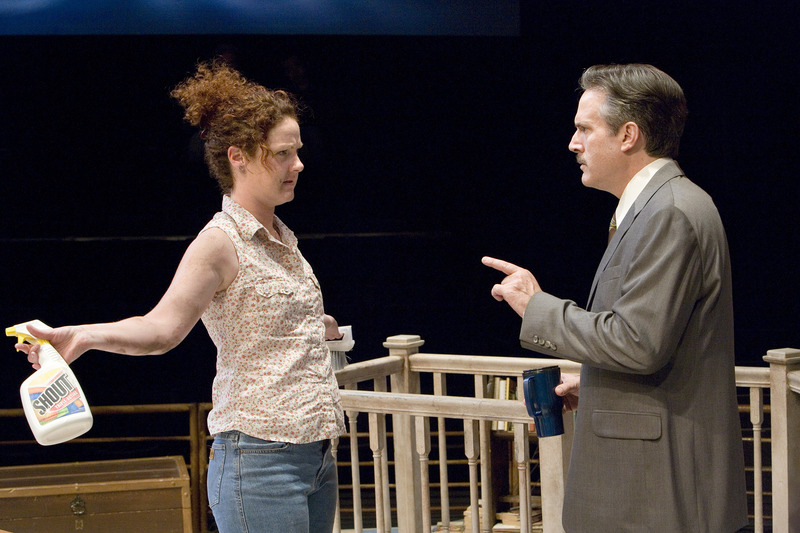 (l-r) Ted Koch as “Tom,” Ian White as “Tim” and Colleen Quinlan as “Tina,” in The Old Globe’s co-world premiere production of Pig Farm, by Greg Kotis, directed by Matt August, playing in the Old Globe Theatre September 23 – October 29; photo by Craig Schwartz. 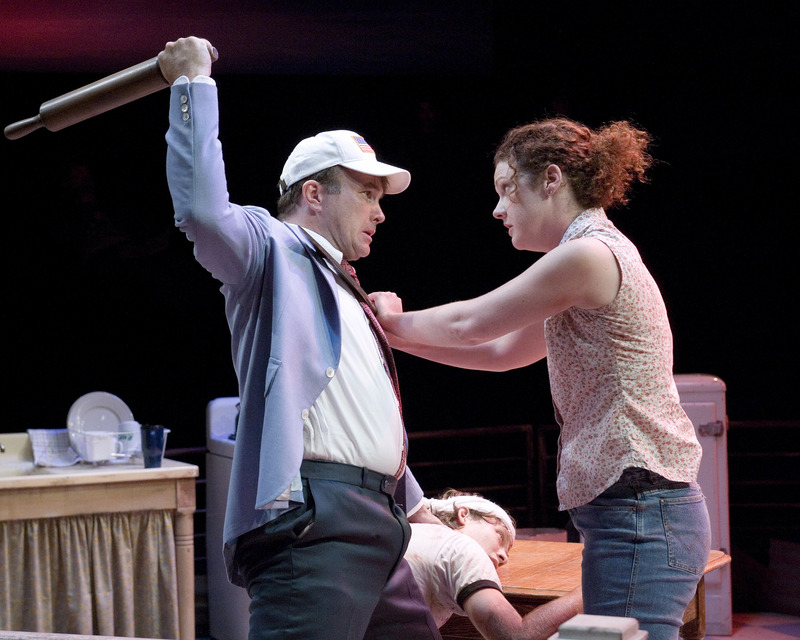 Ian White as “Tim” and Colleen Quinlan as “Tina” in The Old Globe’s co-world premiere production of Pig Farm, by Greg Kotis, directed by Matt August, playing in the Old Globe Theatre September 23 – October 29; photo by Craig Schwartz. Ted Koch as “Tom” and Colleen Quinlan as “Tina” in The Old Globe’s co-world premiere production of Pig Farm, by Greg Kotis, directed by Matt August, playing in the Old Globe Theatre September 23 – October 29; photo by Craig Schwartz..
Colleen Quinlan as “Tina” and Ken Land as “Teddy” in The Old Globe’s co-world premiere production of Pig Farm, by Greg Kotis, directed by Matt August, playing in the Old Globe Theatre September 23 – October 29; photo by Craig Schwartz.